Retail in today’s world has become more competitive than ever with most players being present on multiple platforms – online and offline. This calls for small retailers to pull their socks up in order to be able to keep up with disrupting trends. Hence, it becomes extremely important for retailers to keep their customers delighted and interested in their stores to ensure not just an increase in footfall but also repeat visits. Therefore, ensuring an environment that is not frowned upon by customers becomes vital. A survey by Harris Poll recently goes on to show some of the biggest retail turnoffs – dirty restrooms, dirty surfaces, bad dressing room conditions and a dirty entry way. These problems that can drive away potential customers can be easily avoided or solved. So, all the retailers out there – take note and up your game! In-store retail displays play a huge role in driving sales. Having a store design that doesn’t lead the customers easily to what they are looking for can turn out to be quite a disaster and they are bound to walk away! In fact, good store-displays can lead to cross-selling where the customers are driven to purchase more than what they came in for. Imagine a customer who walked into an apparel store to buy a pair of denim trousers is inclined to purchase a shirt and a bag too because the displays showed him how great a combination they would make! Walking into a store with over enthusiastic staff can get quite annoying! Imagine walking into a retail cosmetic store to check out the latest collection of perfumes where you are pushed to try out and buy products from a particular brand by the staff instead of assisting you with what you need. 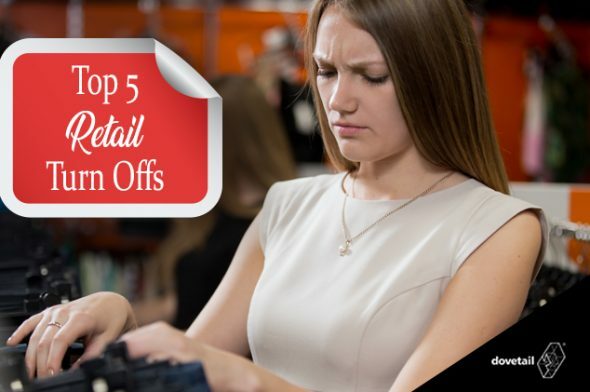 So, it is important for retail store managers to train their staff to give assistance and also respect the privacy of their customers – Being pushy can be a major turnoff leading to a relatively bad customer experience. People sometimes visit a store or a mall not just to make a purchase – but also to get out of the mundane routine and check out what’s new on the shelves out there! Retailers can utilize such opportunities and convert these window shoppers into consumers. A store that doesn’t have adequate lighting, colourful setups or attractive displays is bound to create a not-so-positive impression on the shoppers; whereas, a store with a pleasant lighting, attractive displays and good music could create a positive environment that could influence the shoppers to stay back longer in the store –or even drive them to make a purchase or two! Retailers often get to hear either “I’d like to buy it” or “I’ll come back later, thanks” in their stores – and the quality of customer service provided gets to decide which one of the above statements a customer would choose to say! For example, if a customer who has walked into an outlet is asked to wait in long queues for billing, there is a good chance he or she may not return. Rude staff can also drive away loyal customers who tend to show their frustration on social media channels which can create a negative impression. People love seeing, interacting, touching and experiencing things. Its basic human tendency to be attracted to something interactive than to something static. Interactive displays have enormous impact on customer engagement because of their natural attention-grabbing quality. If the messages on the displays are not clear about what the store is trying to convey or offer, then they are bound to confuse the customer and provide no valid information at all. Therefore, the end goal of any display (traditional or interactive) should be to grab the shopper’s attention and provide him or her with the required initial information.